There was a time in the not too dim and distant past that camber inducers were a dirty word, with all bar the serious speed freak or racer preferring to turn the other way and opt for camless sails. In the more recent past however, the inducer has fought hard to regain the trust of the recreational sailor, helped significantly by advances in mast, material and sail modelling technologies. Full race sails now no longer have any more than four cams, whilst there has been a resurgence of multi-cam sails on the market, designed specifically around the needs and desires of the amateur sailor. Bottom end power and/or top end stability are a given for cammed sails, but with the progression of reduced luff curves in recent years, the life and lightness of cammed sails has never been so good. So what is there to report in development for 2018? This test was originally published in the June 2018 issue. Let’s start with the structure of the multi-cam sail – the battens. Six, seven or even eight are seen in this sail size, with tubed battens used mostly, although a few brands are using alternatives and many opt for the more durable rod batten in the foot. They are also all employing methods to try and ensure the symmetry of the sail’s profile on each tack, be that through alternating the battens on each side as you progress up the sail, or integrating the batten pockets into the panels. Most are then using x-ply, scrim or monofilm on one (or both) sides of the batten pocket, to reduce weight and stretch as the batten is tensioned. The real story for this year though is the amount of thought and consideration that has gone into each sail’s profile height and stability. In the past, it has been a given that the lower and further forward the draft position, the more manageable the sail will be as the wind increases. This certainly remains the case, but it does result in the sail feeling a little lifeless and insensitive in marginal winds. In the recent past, North Sails and Severne tackled this by employing techniques to reduce luff curve, using stretch resistant materials in the sail’s chord to lock in stability. Well, it seems other brands are following suit, using panel shaping vertically oriented in the luff to help lock stability high and forwards in the draft. The result is improved early planing performance, more lift through lulls and acceleration in gusts and a broader centre of effort, making the power more comfortable and measured. Each of these sails benefit from time spent getting to know and appreciate their set, but gone are the days when downhauling the sail flattened the sail off beyond its useable range. Instead, it is impressive just how well the shape in the draft remains, even under maximum loading. One other very current and real consideration for this sail size today is windfoiling. A 7.8m could now well be the maximum sail size you need in your quiver, giving you a possible light wind range of as little as 8-10 knots! Some of these sails, with their light handling and bottom end grunt are tailor-made for foiling dominance, whilst other high-end oriented sails aren’t fit for foiling. 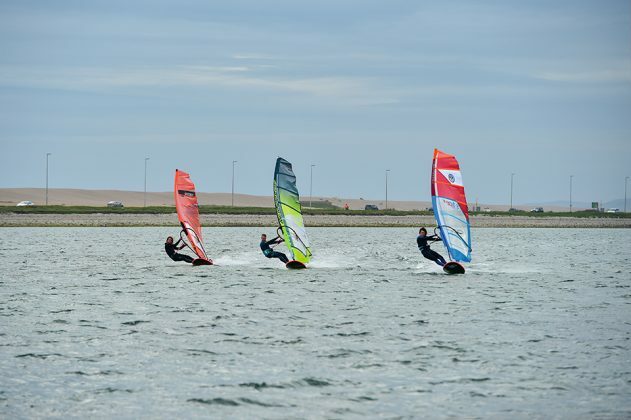 If windfoiling is already your thing … or it’s on your radar, it is definitely a factor worth considering. Let’s pick our way through the 2018 offerings here, starting with the twin cams. 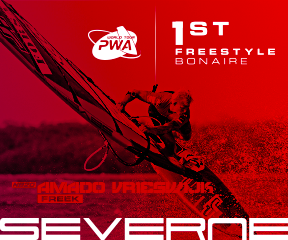 There are three in contention – the Ezzy, Pryde and Simmer, and we have to say all are fantastic to use. The Ezzy is built to last and provides a simply staggering tuneable range, largely through outhaul. Dependable and easy in the hands without feeling soft or dull, it was a pleasure to use. The 2XC from Simmer was very similar in nature, with a stunning shape to its form – a deep profile low and forwards, twisting off smoothly in the upper panels. Easy to get on with and with plenty of natural tuning range, it represents fantastic value for money. The V8 from Pryde feels small in the hands for its quoted size and has a very balanced, precise power delivery. With a beautiful profile and twist to the sail, its crisp handling gave a tangible link to the brand’s reputed race programme. Talking of light handling, there are no better examples than the OverDrive from Severne. With its top-end stability seemingly better than its predecessor, it has lost none of its magical agility and balance, taking all the stress out of sailing powered for long periods. From the shortest boom to the longest and the North S_Type handles in a markedly different manner. It relies on the fact that the centre of effort is locked so far forward in the draft that the sail area above the boom can be maximised to provide useable feedback over an extended range. It is a very different train of thought, but no less effective, confirmed by the sail’s blistering straight-line speed. The SwitchBlade from Loftsails is a bit of a Jekyll and Hyde sail, changing its persona completely through tuning. From a grunty truck-pulling powerhouse to loose efficient racer, the sail can be finely tuned to meet your requirements. That leaves the GA Sails Phantom, Point-7 AC-K and RRD Firewing – three sails demanding high tension and precise tuning, but return the investment with blistering speeds and handling credentials that always take us by surprise each year. Far from the sole domain of the professional rider, their performance is incredibly accessible – testament to just how far cammed sail design has moved on. The cam is alive and well … long live the cam!